Fridays are family days and Royal Central Hotel The Palm offers the most lavish brunch at the La Maison restaurant. Feast on a sumptuous brunch spread with relaxing views of the Arabian Gulf and superb weather. On offer are an extensive selection of dishes from diverse culinary cultures along with live cooking stations and a dedicated corner for children. 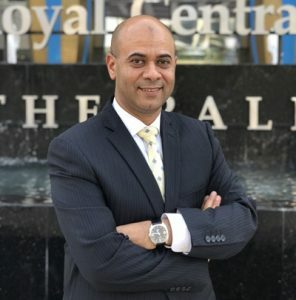 Mohamed Hassan, General Manager of Royal Central Hotel The Palm, said, “Nothing is more enjoyable than sharing quality time with your family and friends over great food followed by a leisurely afternoon. Our Friday Brunch is truly special and features an irresistible variety of international dishes and delectable desserts drawn from the world’s most popular cuisines. 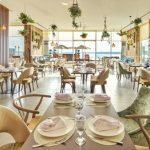 The setting is equally fabulous and allows you to have a unique experience with both indoor and outdoor dining options available couple with live entertainment for a hugely enjoyable afternoon with your family or friends”. Where: At La Maison restaurant in Royal Central Hotel The Palm with indoor and outdoor dining options. Children below 5 years dine free and those between 5 to 11 years enjoy 50% discount.